The player images in this gallery come as part of the Player Package. This sepia or "Circa" colored 5x7 print comes by default along with the 8x10 full color print to complete the package. All images are available in two kinds of paper, luster and metallic. If you ordered the Sports Print Package on May 5th or May 12th, the 5x7 will come standard on metallic paper unless you indicated otherwise. 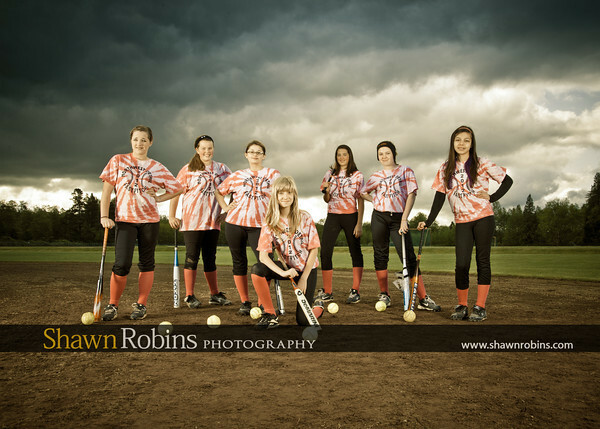 The team shot with be an 8x10 print on luster paper and they are both mounted on a black back board for display. If you would like additional prints, feel free to order them in either paper type you like. Click the "BUY" button top right of the image desired and follow the process. Your order will be delivered right to your door in just a few days. Web orders do not come with the black back board display. That is only available the day of the shoot. Any image is also available for download by selecting "DOWNLOADS" tab in the storefront. Please note. If you order prints using this website they are in addition to the print orders collected on the field the day of team pictures. Those prints will be delivered to your coaches and they will hand them out. Please allow 4 weeks for delivery on those orders.